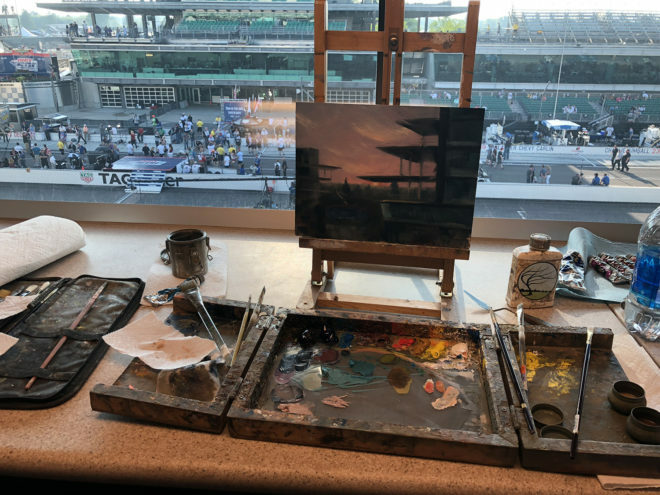 After 14 months of effort, I was successful in my attempt to paint at the Indy 500. 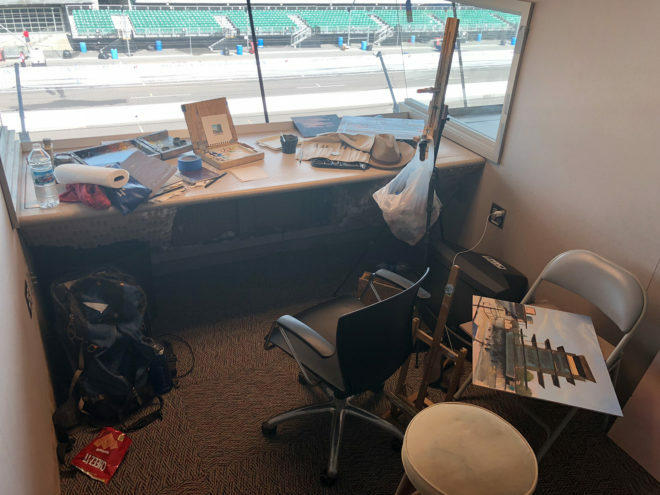 It's a long story as to how it happened but I had a ton of people in my corner at IMS working to make this opportunity happen and I owe them big time! This was such an unforgettable experience and I am extremely grateful for the opportunity. 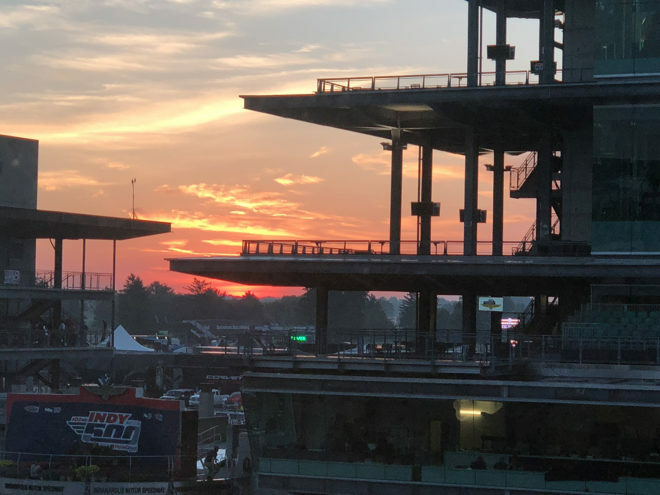 Walking through Speedway at around 5:30 am was simultaneously real quiet, but I could already feel the energy in the air. I really liked this scene as I walked past, much like many of the yards in the neighborhood that morning. The sunrise came and left fast, but for about 10 minutes was completely stunning. I invested the first few hours of my morning capturing that scene. My first large painting of the day. When painting on location vs the studio the biggest benefits are capturing specific light and color along with nailing down accurate proportions. 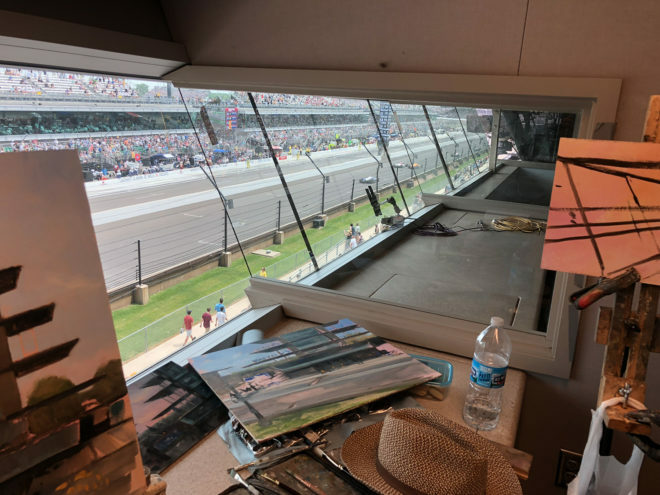 About 2 hours into my second painting of the morning (perhaps 45 minutesish before the green flag), I starting putting in some of the tedious details of the pre-race ceromonies. I quickly realized I was going to spend a solid 3-4 more hours just hammering that home and instead of investing my day capturing that detail work, I set that 75ish% complete painting aside and started a new one. 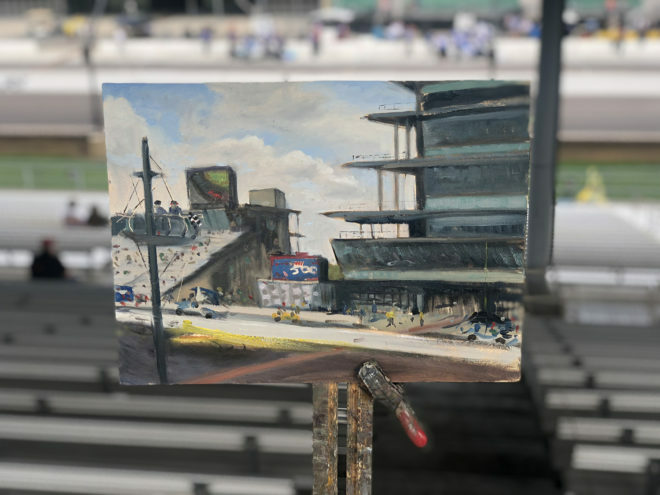 This time, I focused more on the foreground so I could eventually paint Will Power's car into that piece. Towards the end of the race I was juggling 4 different paintings in progress. The aftermath of 12 hours in that 8x8' box. 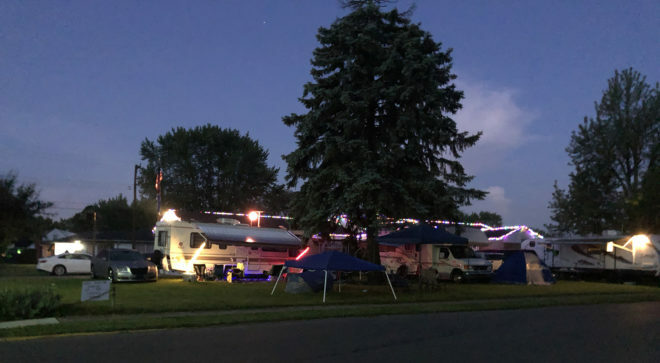 The was painted a week before on a scouting trip in preparation of race day. 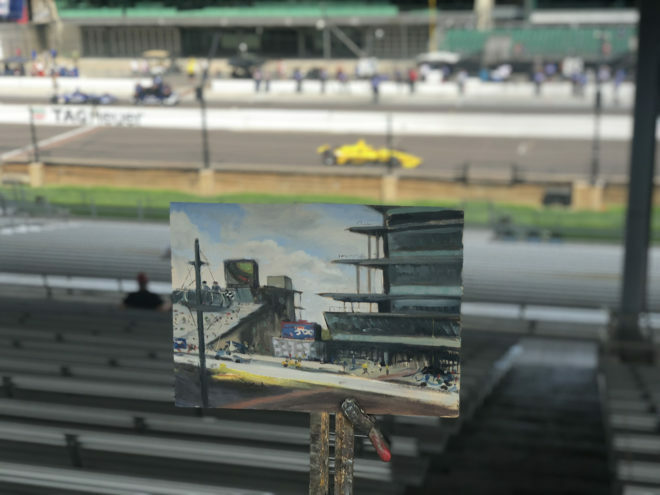 I tried to capture the motion of Helio's car racing over the bricks.